Jean Donaldson, author of The Culture Clash and Dogs Are From Neptune, directs The San Francisco SPCA’s Academy for Dog Trainers. Expect your dog to act like a dog. Don’t take it personally when he exhibits typical canine behavior. He’s not being “bad,” he’s just being a dog. Start off “tight” and slack off later, rather than letting him run wild for the first few weeks and then clamping down when the behavior isn’t so cute anymore. 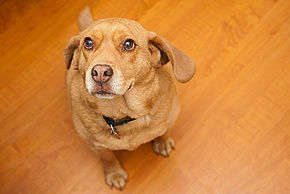 Don’t wait for him to develop bad habits, like chewing the furniture or urinating on the carpet, before you intervene. Assume this behavior is likely to happen, and act preemptively to manage it before it develops. Supply your dog with acceptable outlets for his doggy behavior, rather than punishing it. Get involved in organized dog sports or informal activities, such as agility, Flyball racing, tug-of-war, fetch, or a fun game of hide-and-seek. If you have a puppy, handle him endlessly. And make it as pleasant an experience as possible, so he’ll associate being handled with good feelings. Enroll in a good training course. Jean Donaldson, author of The Culture Clash and Dogs Are From Neptune, directs The San Francisco SPCA’s Academy for Dog Trainers. Thanks to the San Francisco SPCA for the use of this information. Separation anxiety is a serious emotional problem.